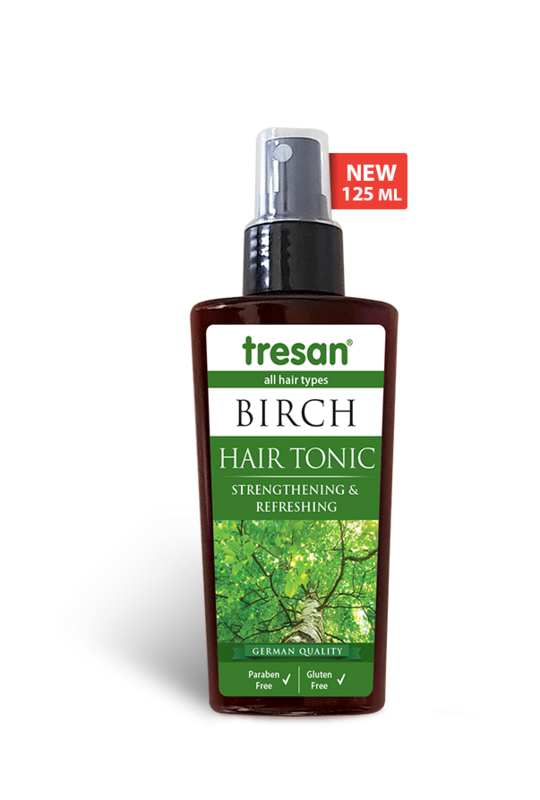 Tresan Hair Tonic contains extracts of: Stinging nettle, Birch, Camomile, Milfoil, Valerian, Melissa, Hop, Provitamine B5, Vitamin B3, Piroctone Olamine and Caffeine. Helps to feed and strengthen the hair follicles and helps to reduce the hair loss. Provides brightness and shine. Helps to prevent formation of dandruff. Directions: Apply to clean hair and follicles with massage. Do not rinse. Shake before use.